Complete Pine Bluff, AR accident reports and news. After a Pine Bluff crash, injured people and their families need resources and support. Regardless of the severity of the collision, the people involved are left to deal with injuries, medical bills, property damage, and insurance claims. When a Pine Bluff accident is fatal, families are left to struggle with their grief and loss as best they can. Pine Bluff major hospitals include Jefferson Regional Medical Center. Arkansas State Insurance Department site. How do you deal with an insurance claim after a Pine Bluff accident? Regardless of how severe an accident is, almost everyone involved has to deal with insurance companies and claims. For accidents with very minor injuries and damage, a claim can sometimes be handled by working with the insurance adjuster. For crashes involving more serious injuries, or when a fatal crash occurs, a Pine Bluff personal injury attorney is needed to manage the insurance claim. 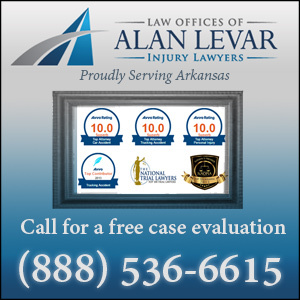 Go here to learn more about how an Arkansas accident lawyer helps accident victims. Mon, 08/25/2014 Car Accident Alice Wooley, 73, killed, and Floyd Wooley and Anetra Wyatt injured in crash on Blake Street in Pine Bluff, Arkansas. Fri, 04/04/2014 Car Accident Artisha Rainey, 18, a student at Pine Bluff High School, killed, after her car, traveling at high speed on Hazel Street, loses control and crashes into a tree.